These two vibrant young photographers are regular faces at our venue and we can understand why. Zandri and Kevin have such sweet gentle natures and a calming aura. With hundreds of weddings under their belts their reputation in the industry is excellent and their work always beautiful. Their familiarity with Hudson’s is the cherry on top for our couples. We’re proud to include this duo on our recommended list of suppliers and took this opportunity to get to know them a little better so that you can too. 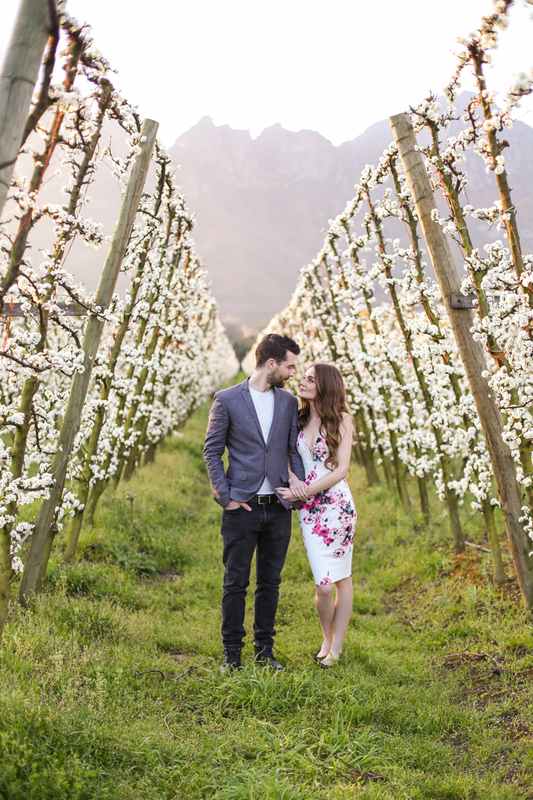 Meet Zandri and Kevin, the couple behind Zandri du Preez photography. We are a husband and wife team of award winning wedding and engagement photographers. We love that our job is all about love, romance, fun and once in a lifetime moments. We pride ourselves on giving a professional and friendly service. We are lucky enough to get to be part of the most special days. Weddings are so much fun! Everyone is there to enjoy it and we are happy to get swept along with those good vibes. We share a passion for creativity and we are continually inspired knowing that the pictures we take will be looked at by those families for generations to come – that’s quite an amazing thought. The biggest reward for us is travelling to wonderful locations and getting to be part of the most magical moments. We have been in the industry for just over seven years. Time flies when you’re having fun! Our prices start at R12000. We have photographed more than 250 weddings. The hardest thing about this job is turning away clients when we are already booked for their wedding date. We would love to be part of everyone’s special day! We are not one photographer plus an assistant – we are two professional photographers. With us both bride and groom will have a photographer each with them for the “getting ready” photos. We continue to shoot together throughout the day in order to capture all those precious moments. We are great at working with large groups and making people feel comfortable in front of the camera. We have an eye for detail and capturing natural moments. At least, this is the feedback we get from our clients! We remember all of the weddings we have ever photographed. I would say there is something special we remember about each wedding. One that stands out to me is my sister’s wedding. Not because of the venue, the dress or the food but because she was so incredibly joyful the entire day. It makes all the difference in the world if you have a couple that are enjoying every minute of their wedding. That’s what it’s all about. I had the honor of not only being her bridesmaid but also her photographer! How cool is that! Enjoy it! All of it! If something goes wrong no matter how big or small remember what the day is about and why you are there. Focus on your love and on each other. Take in those special moments. If you are looking for two photographers that capture all those special and natural moments at your wedding we could be a perfect match.